Please note the information is uploaded as available and is subject to change. 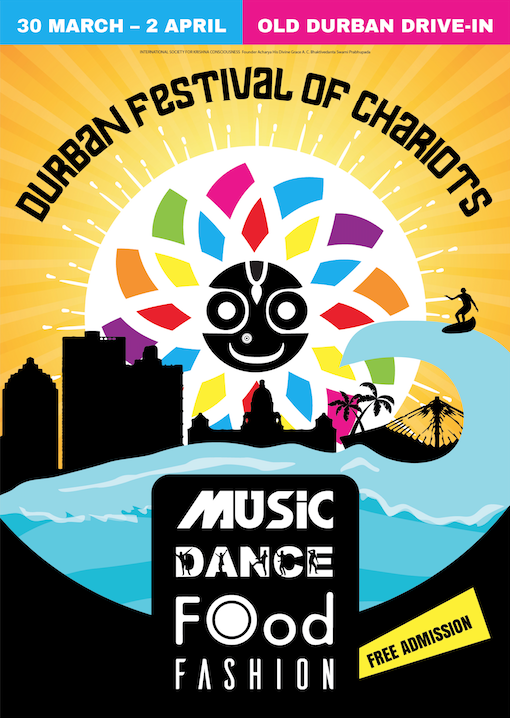 Visit the Durban Festival of Chariots, take a selfie and post on Instagram or Twitter using #DurbanFestivalofChariots, or share on Facebook (ISKCON Durban), and 5 lucky visitors will stand a chance to win festival vouchers to the value of R1000 each. 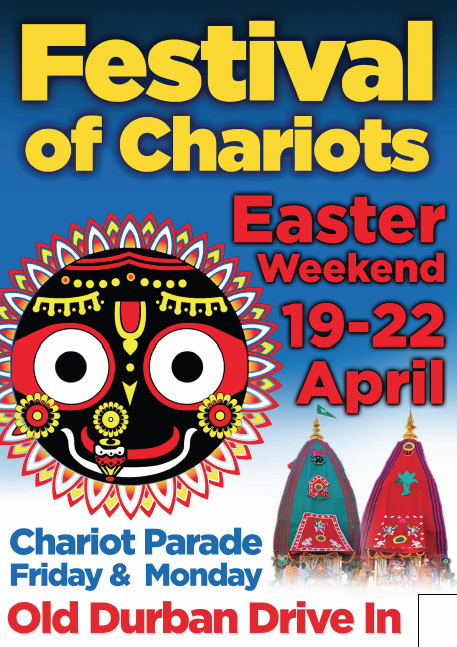 See our festival website www.festivalofchariots.net for more details. Ts&Cs apply. 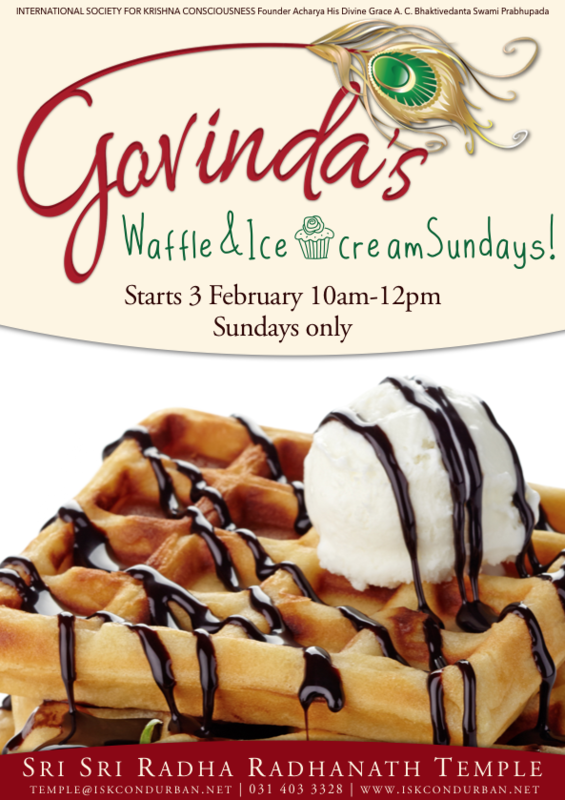 Vouchers valid at participating stalls only. Deity maha-prasad. You get the chance to give back to the Deities through facilities like Take Care of Krishna, and temple restoration initiatives. 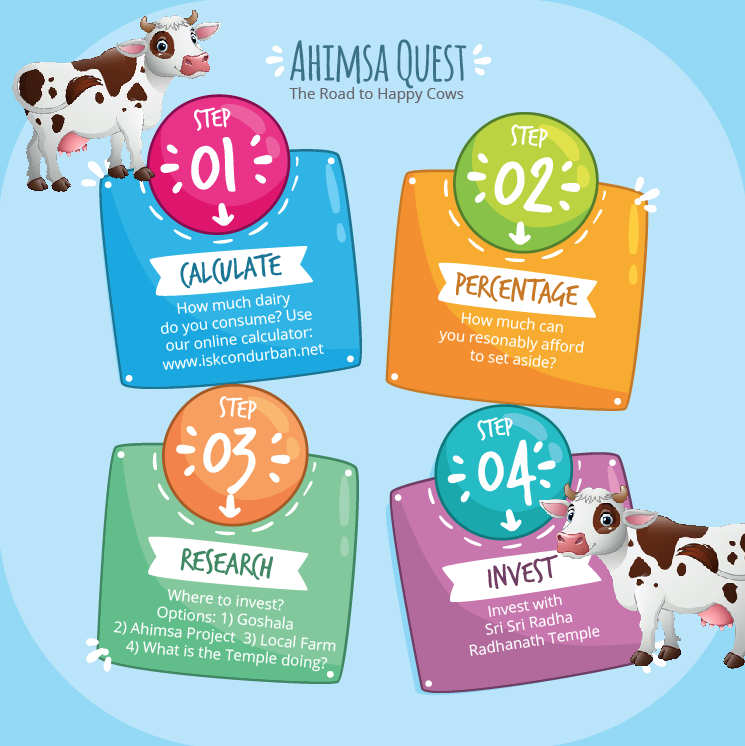 Look out for exclusive gifts. If you would like to received updates please subscribe to +27817590191. 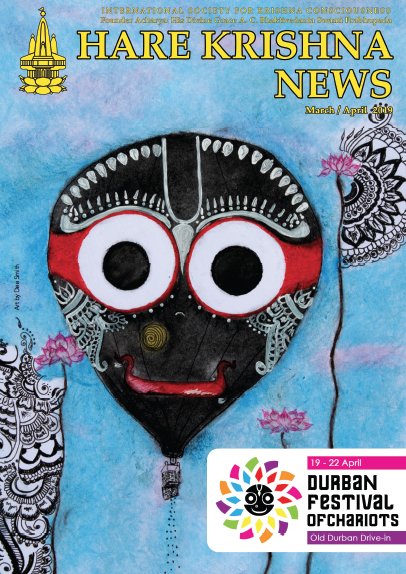 When saving the number include the plus sign to receive news from ISKCON Durban. Save the number as SSRRT News.